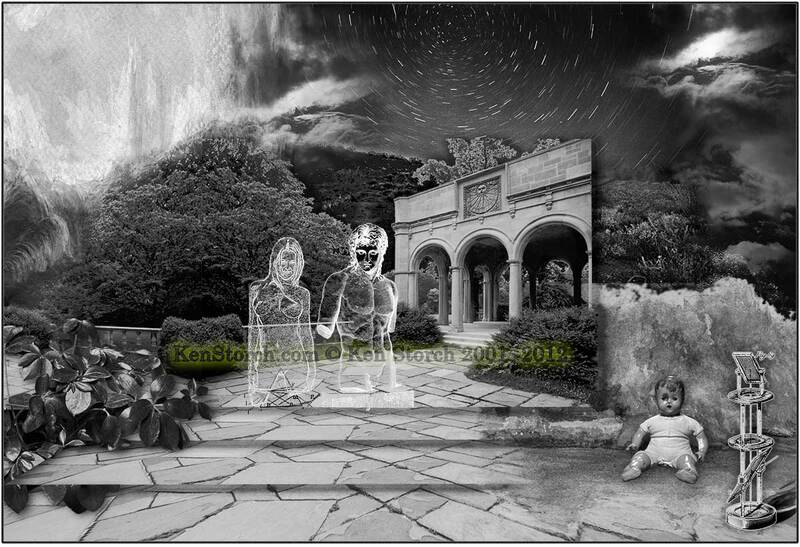 A photo-digital mixed -media montage. One of my early works combining graphics, etchings, watercolour paintings, with in-camera photography. The title refers to the Leonid meteor shower which occurs each December. The polar rotational long-exposure at the upper center of the montage shows a few meteor trails during a really cold long night of shooting shooting stars. 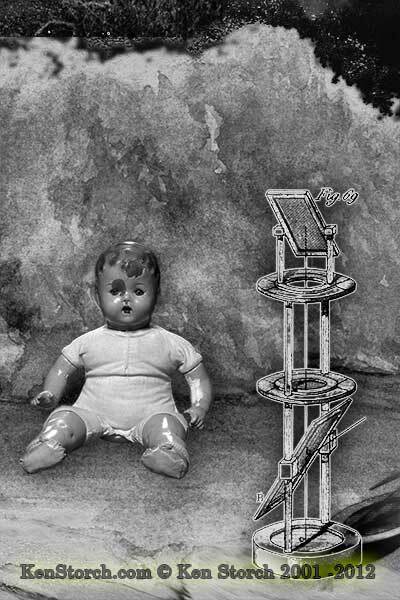 The cracked-face baby doll is a straight photo, along with a graphic of an optical device set against a watercolour on paper painting. 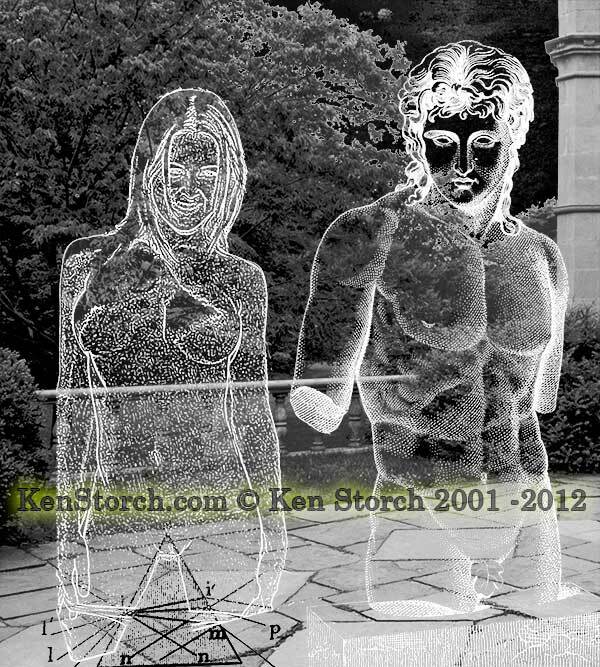 The montage, and details shown above, are from a full sized high resolution print, 20″ x 30″ (50cm x 76cm) made on 100% rag fiber with archival pigment inks. This has always been one of my favorite pieces. Thanks. It’s one of the popular ones, too.